Bridget received a PK-3 degree from the University of Wisconsin, which in turn led to many positions in mainstream daycares and schools, and ultimately seven years as an elementary teacher in Milwaukee. After the birth of her first child, she felt renewed energy for teaching when she became exposed to Waldorf Education. She dove in to the Great Lakes Waldorf teacher training program, did in-home childcare, found LifeWays and completed that training in 2011. She then became a kindergarten assistant at Prairie Hill Waldorf School, completed the Simplicity Parenting group leader training, and founded Mothering Arts Milwaukee mother-infant groups. 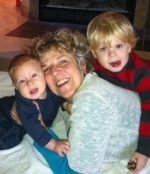 The notion of “Life is the Curriculum” has become so completely woven into the everyday fabric of her life as a homemaking, homebirthing, homesteading, and homeschooling parent that she has been heard to say that the LifeWays training was the single most transformative experience of her life. She served as Student Services Director for the 2015-16 Wisconsin training and began taking on more roles as a teacher in the trainings both in Wisconsin and Alaska. She lives on a small homestead with her husband Michael, where they strive together to live simply, raise some animals, run a business, homeschool, and co-parent their five mutual children ranging in ages from 5 to 23. Chinyelu has been teaching in the Parent-Child and Pre-School program at Kimberton Waldorf School since 2005 and is lead teacher at Kimberton’s Rosebud Garden, a LifeWays Representative Program. She has been involved in Waldorf education for nearly 22 years as a mother and early childhood teacher. Chinyelu holds a BA in Interior Design and a Master's in Architecture as well as having completed the Waldorf Early Childhood Teacher Training at Sunbridge Institute in Spring Valley, New York, and the LifeWays Early Childhood and Human Development Training. Chinyelu works with LifeWays North America to develop healthy early childhood programs at Kimberton Waldorf School, as well as training programs for caregivers, parents, and parent educators. She is very excited to help bring LifeWays training to Kimberton Waldorf School. She is the proud mother of two Waldorf graduates and a 10th grade daughter who attends high school at Kimberton. Dorothy has a BFA in Dance from UW Milwaukee, a MA in Education from Mount Mary College and has certificates to teach dance (K-12), regular education (1-8), Waldorf Education (1-8) and, most recently, completed the LifeWays training in 2016. Dorothy taught at Urban Waldorf as both a dance teacher and a class teacher for 5 years and in a traditional school for 5 years. She realized very quickly that the child’s education truly begins at birth and fell in love with the gentle and natural methods that LifeWays provided. Currently running a small in-home program, Seedlings to Sprouts, in Bay View/Milwaukee Dorothy cares for 5 children (2 of which are her own). With over a dozen years of working with children, Faith Collins has been an early childhood teacher, co-director of the Rainbow Bridge LifeWays Program, and taught adult classes for parents and daycare providers in the US, England and online. In 2013 she was a keynote speaker at the first LifeWays conference, "Creating a Joyful Life with Children." She founded her organization, Joyful Toddlers, in 2010 and since then over 200 people have taken her popular six-week tele-class, Joyful Days with Toddlers & Preschoolers. Faith received an MA with Distinction in Early Childhood Studies from Roehampton University, doing original research for her dissertation on toddlers’ involvement in adults’ household tasks. She lives in Denver with her husband and daughter. You can learn more about her work at www.joyfultoddlers.com. Kerry Francis was a teacher of young children in a variety of settings, including a Reggio Emilia-inspired preschool and a shelter for street children in Tanzania before she discovered Waldorf schools. She currently teaches the toddler class at Boulder Waldorf Kindergarten. She completed the Lifeways training in 2016 and is currently finishing up her Waldorf Early Childhood Teacher training through Sound Circle Center. Kerry’s background is in psychology; she received her master’s degree from Naropa University for Transpersonal Counseling Psychology. She had a private psychotherapy practice before focusing more on caring for young children as well as opening a doula practice. Kerry has a keen interest for anything related to pregnancy, birth, and first three years of life. She has taken post-graduate trainings on attachment, embryology, child development, and early childhood education. 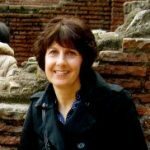 She is currently an editor for the professional journal of the Association for Prenatal and Perinatal Psychology and Health as well as for the yearly publication of the Biodynamic Craniosacral Therapy Association of North America. In her spare time, Kerry helps to run a small biodynamic farm with her husband. Kyle lives in Atlantic Beach, Florida where she is a stay at home mother of two young children (Elijah, 6 and Liza,3). Kyle was first introduced to LifeWays by the Playgarden by the Sea in Jacksonville Beach, Florida in 2014. From her first visit to that cozy beach cottage, Kyle knew she had found something special and set out to learn as much as she could about LifeWays and Waldorf education. She enjoys hiking, biking, cooking and spending time at the beach with her family. Kyle's previous experience includes working with the Florida House of Representatives. 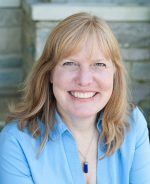 Laura Cassidy taught in the Early Childhood Department of Prairie Hill Waldorf School in Pewaukee, WI, for 22 years, 8 of those as a lead kindergarten teacher. She founded the school's "WonderGarden" preschool and taught in the parent-child playgroup, assisted in grade one, and continues to teach calligraphy to sixth graders. 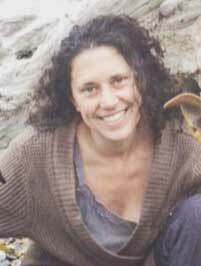 She is a core faculty member of the Great Lakes Waldorf Institute for teacher training. Laura has a B.A. in English, graduated from the very first LifeWays training with Cynthia Aldinger, and took the 3-Year Gradalis Early Childhood Therapeutic Education Course with Bonnie River, Nancy Blanning, and Lori Clark. She is the mother of three grown Waldorf alumni. Laura has a deep love and is inspired by the fairy tales, her work as a calligraphy artist, and the archetypal artist and healer: Mother Nature. Neera Singh is mother of two daughters 13 and 8 years old. She lives with her husband of 17 years in Tulsa, Oklahoma. Neera completed her Lifeways training in 2011 and as a result began her own outdoor Lifeways inspired program, Roots of Wonder, on a verdant 3 acres of urban forest and gardens adjacent to her house. Child of a sociologist father who immigrated from India, and an Irish-American activist mother who volunteered for Kennedy’s brand new Peace Corps in 1967 in Ghana, Neera has lived a life of constantly “crossing borders”. Her interests in conflict resolution, social justice, nonviolence theory and practice, antiracism and cross-cultural peace efforts have led her to homeschool her own children and dedicate herself to supporting families in building the healthy vibrant family culture they desire. Neera has worked as a Parent-Child group leader, lead Caregiver, Chef, and currently Director of Roots of Wonder for the past 6 years. Neera has an undergraduate degree in Environmental Studies and Political Science from Whitman College, a secondary school teaching certificate, and a Master’s in Education from the University of Hawaii. In addition to her professional pursuits, Neera is an avid flower and vegetable gardener, animal-lover, and seeker of truth. Rosario Villasana, M.A., Department Chair at City College of San Francisco, Lifeways Instructor, and Early Childhood Consultant. 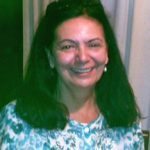 She directs the LifeWays en Español caregiver training program focusing on development of curriculum materials in Spanish, community programs and mentoring teachers. She has conducted training and staff development in Rudolf Steiner based education in China and Mexico as well as throughout the United States. Rosario is the happy mother of two Waldorf graduates; a son, Eduardo and daughter, Lucia. A frequent and sought after presenter at the most respected professional conferences, notably NAEYC (National Association for the Education of Young Children), the World Forum and the AERA (American Educational Research Association) as well as universities and colleges in the US, she has travelled internationally presenting in China, Greece, Mexico and Russia. Her primary focus is the Birth to 7 year old child and focus areas include; the Program for Infant/Toddler Caregivers, Rudolf Steiner Pedagogy, The Impact of Media on the Young Child, Environments for Children, Dance and Movement Education, Sensory Integration and Brain Development, and Resource Development for Spanish Trainers. Sarah Michel Riffle has over 11 years of experience teaching in Waldorf Early Childhood Education. Upon graduating from Rudolf Steiner College in 2005, she volunteered and worked as an assistant in the Daisy Kindergarten at Cedar Springs Waldorf School. The following year she took a position at Golden Valley Charter School, where she served as the Waldorf Kindergarten Specialist in the Orange Blossom Kindergarten for 9 years. During the years 2015-2017, Sarah returned to school full time, acquiring RIE and LifeWays certifications, as well as a B.S. in Family Studies from CSUS, where she graduated with honors and recognition from the National Council on Family Relations. Currently she is the lead preschool teacher in the Pine Cone class at Live Oak Waldorf School. All three of her children attended and graduated from Waldorf schools. She is excited to engage the role of Student Services Director for the LifeWays, Sacramento training. Shanah completed her LifeWays training in 2007, the same year she began a home-based program named The Purple House. In 2010, The Purple House became a non-profit organization, which was renamed Rose Rock School. Rose Rock School became a LifeWays childcare center in 2015, when it relocated, outside of Shanah’s home, to a much larger property. Currently, Shanah is a lead caregiver and the administrator at Rose Rock. Shanah loves getting to know the individual spirits of the people with which she works--children, parents, and colleagues. She cannot begin to count the ways that the many people she has worked with over the years have shaped her character and helped her to be a more loving, authentic, and dedicated human being. When Shanah is not at work, she enjoys biking, sewing, gardening, and having fun with friends and family. 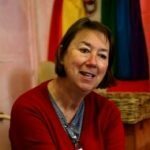 Susan Silverio was the founding teacher of Ashwood Waldorf School in Rockport, Maine, providing the multi-age kindergarten for 20 years near her three-generation family homestead in Lincolnville where she is now the director of Spindlewood Waldorf Kindergarten and LifeWays Center, www.spindlewoodmaine.com. She holds a B.A in liberal arts and has worked as a social worker and in providing emergency shelter and transitional housing for women and children. 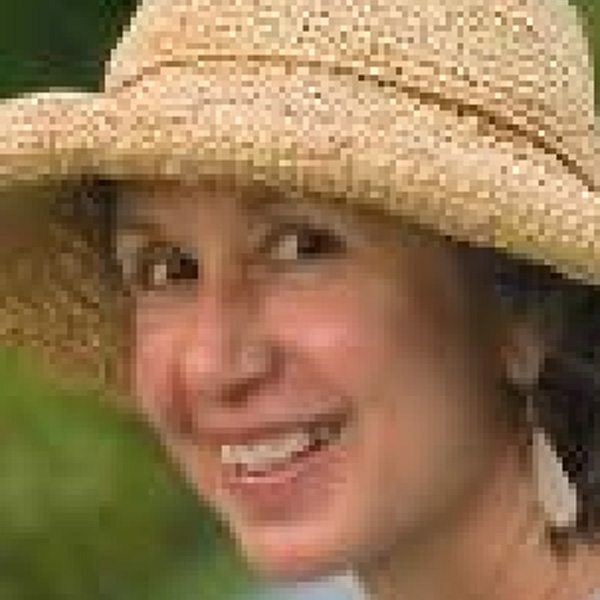 Susan is an organic gardener and beekeeper and enjoys rowing and sailing small craft in all seasons.